The Online process for Uttar Pradesh Teacher's Eligibility Test (UP TET) 2018 has been started from 18th September 2018 online on its official website. As per the notification it is clear that UP TET 2018 Examination will be held on 4th November 2018 on various examination centres across the State. 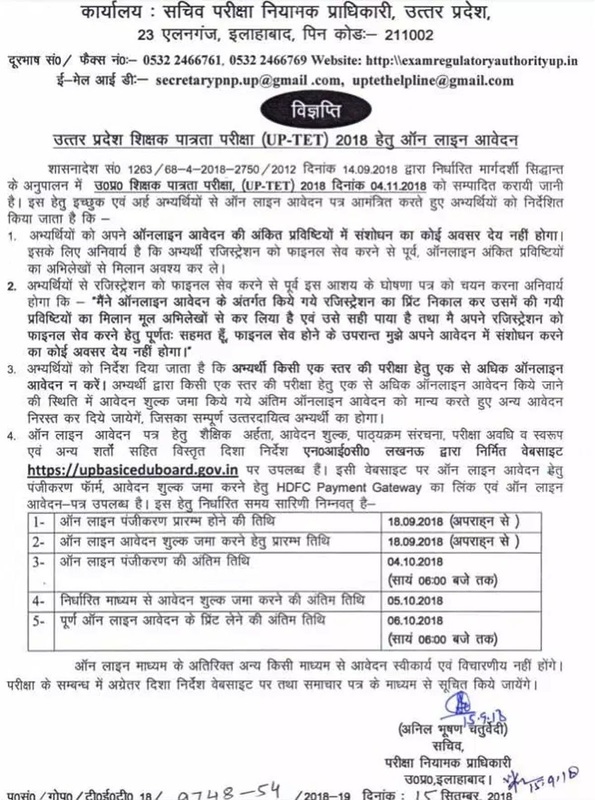 The UP TET Notification 2018 has been published by the authority online on its official website on 15th September 2018. Candidates who have been looking for the UP TET Application Form 2018 can now apply online going through its official website before last date. 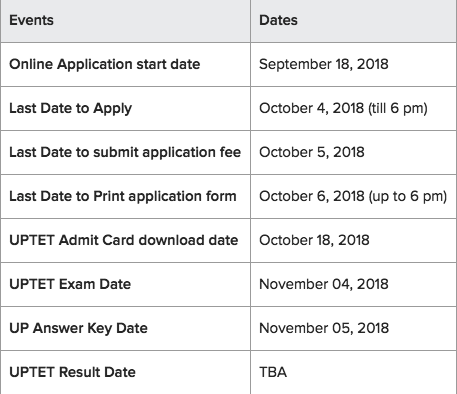 Here on this website we are sharing all the latest and important information regarding UP TET Application Forms 2018 such as- Notification, Exam Dates, Applications, Fee, Syllabus, Admit Card etc. So, all the candidates are highly advised to keep in touch with this website to get all the latest updates and notification time to time. 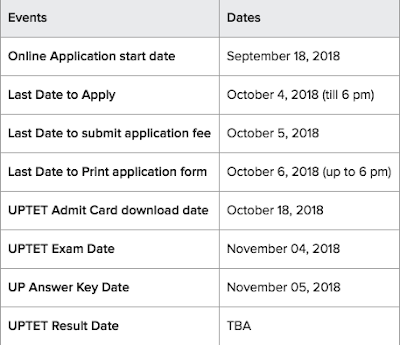 As per the official notification it is clear that UP TET 2018 Application Form Last Date is 4th October 2018. Which means candidates can apply by this date till 6 PM. Now look for the Term "UP TET Application Form 2018"